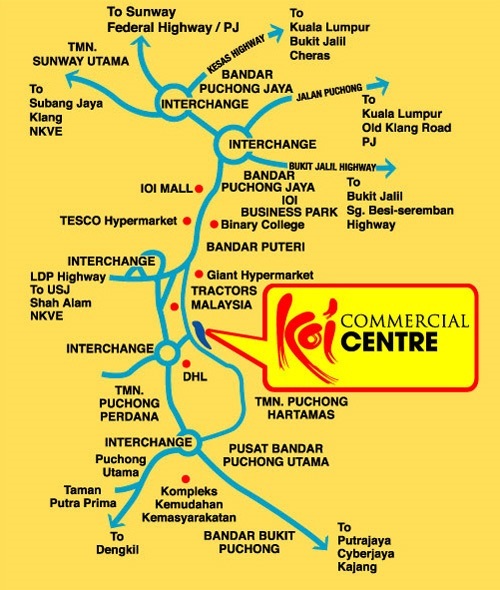 Koi Commercial Centre is located along the upgraded Jalan Puchong dual carriageway, Koi Commercial Centre has an excellent location just of the LDP, granting easy access to Damansara, Shah Alam and Subang/USJ as well as other major highways such as the North South highway. 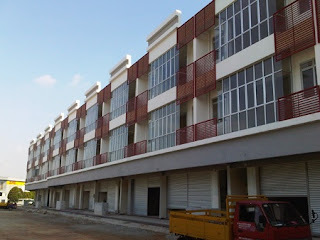 Expect high occupancy, good rental yield and potential for capital appreciation within the landmark neighborhood from Koi Tropika Condominium, whilst being a stone's throw from Bandar Puteri Puchong. At an estimate, Puchong boasts a population of about 400,000. The increasing population of Puchong and its immediate neighborhood will certainly create the demand for more business to locate here. At the current price, these elegant, modern designed shop / offices are an investment not to be missed.